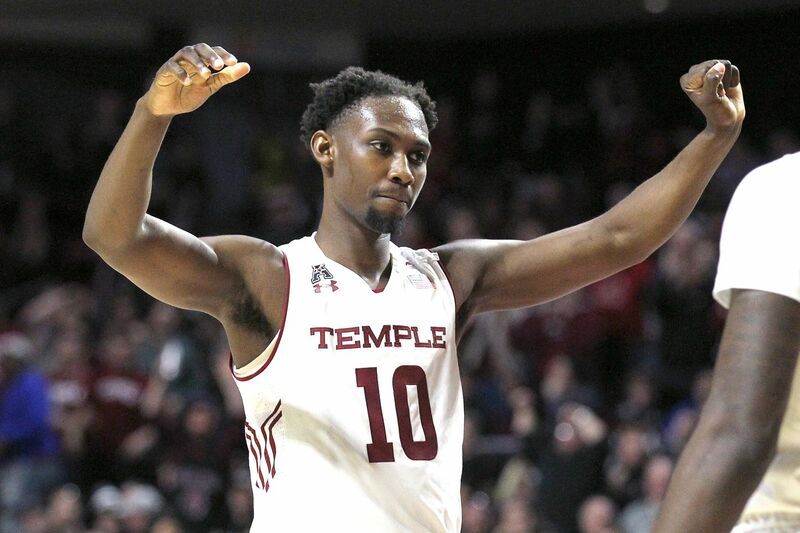 Shizz Alston led Temple to a 23-8 regular-season record. Temple senior guard Shizz Alston was named a first-team all-American Athletic Conference selection on Monday in a move that was widely expected. What was surprising is that the 6-foot-4 Alston wasn’t a unanimous choice for first team. Three players were unanimous first-team choices -- Jeremiah Martin of Memphis, Corey Davis of regular-season champion Houston, and Jarron Cumberland of Cincinnati. The all-conference teams were selected by the league’s 12 head coaches. The player of the year will be announced on Wednesday. A league spokesman said the all-conference voting is separate from the player of the year voting, which means Alston should be in the running. During the regular season, Alston was tied with Martin for the conference scoring lead; both average 19.7 points per game. Alston is first in free-throw percentage (.906), third in assists (5.1 per game), eighth in steals (1.5 per game), and 15th in three-point shooting percentage (.351). He has made at least one three-pointer in a school-record 42 straight games. “It is nice to get this, but the [NCAA] tournament is still the first thing on my mind and our goal is to win the conference tournament,” Alston said in a phone interview. Temple is the No. 3 seed in the AAC tournament and will open play Friday with a 9 p.m. quarterfinal against the winner of No. 6 Wichita State and No. 11 East Carolina in Memphis, Tenn.
Temple 6-8 junior Quinton Rose, who was a preseason first-team choice, earned second-team honors. Rose is averaging 16.5 points.